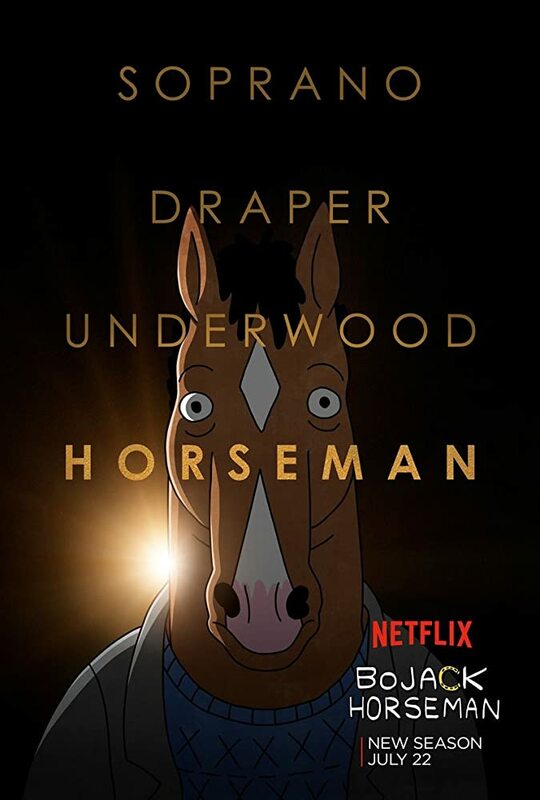 A humanoid horse, BoJack Horseman -- lost in a sea of self-loathing and booze -- decides it's time for a comeback. Once the star of a '90s sitcom, in which he was the adoptive father of three orphaned kids (two girls and a boy). The show was the hottest thing around, then suddenly, was canceled. Now 18 years later, BoJack wants to regain his dignity. With the aid of a human sidekick and a feline ex-girlfriend who is his agent, he sets out to make it happen. But Hollywood is vastly different from those days, and getting used to stuff like Twitter may take some time. BoJack is gut-busting and gut-wrenching in equal parts.